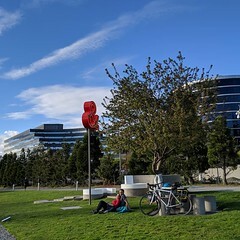 Here’s a look at Seattle’s upcoming large-scale events and construction happening around the City this week, April 24-28, 2019. 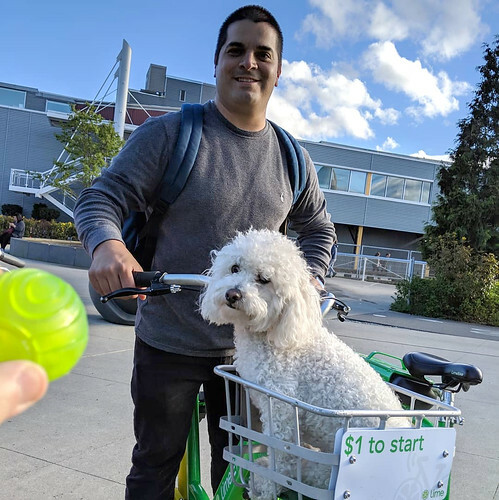 These events may impact how you get around town, so be sure to see our trip planning tools at the end of this post and plan ahead! Also, don’t forget to look at our Citywide Events Calendar for more things to do. Have fun! Mariners vs. Texas Rangers @ T-Mobile Park: First Pitch: 7:10 PM. Estimated attendance: 20k. The 1975 concert @ WaMu Theater: Concert at 7 – 11:30PM, doors at 6 PM. Estimated attendance: 7k. Cornish School of the Arts BFA Exhibition, Opening Reception: Event will close Terry Ave. btwn Virginia St. and Lenora St, 6 – 9PM. Estimated attendance: 1k. Slushii concert at WaMu Theater: Concert 7 – 10 PM, doors at 6 PM. Estimated attendance: 7k. Mariners vs. Texas Rangers at T-Mobile Park: First Pitch: 7:10 PM. Estimated attendance: 20k..
Mariners vs. Texas Rangers at T-Mobile Park: First Pitch: 6:10 PM. Estimated attendance: 20k. RUFUS DU SOL concert at WaMu Theater: Concert: 8 – 11:30 PM. Doors: 7 PM. Estimated attendance: 7k. 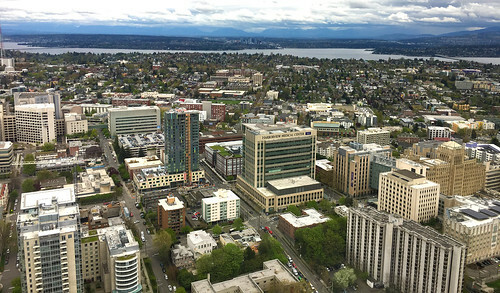 Top Pot Doughnut Dash Annual run around Green Lake: 8:30 – 11:00 AM. Estimated attendance: 3k. Mobile Food Rodeo: 10:00 AM – 5:00 PM, located in Fremont on N. Canal St. between Phinney Ave. N. and 1st Ave. NW. Estimated attendance: 5k. 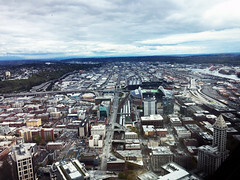 Sounders vs. Los Angeles FC at CenturyLink Field: Kickoff: 12:30 PM. Estimated attendance: 35k. Mariners vs. Texas Rangers at T-Mobile Park: First Pitch: 1:10PM. Estimated attendance: 20k. Juice WRLD concert at WaMu Theater: Concert 8 – 11 PM. Doors at 7PM. Estimated attendance: 7,000. 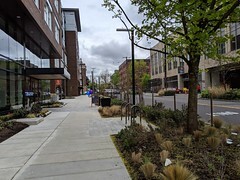 25th Ave NE connects the Ravenna and Roosevelt neighborhoods to many local retail establishments and services. It’s also a transit route with service connecting northeast Seattle to the U District, Link light rail, and downtown Seattle. 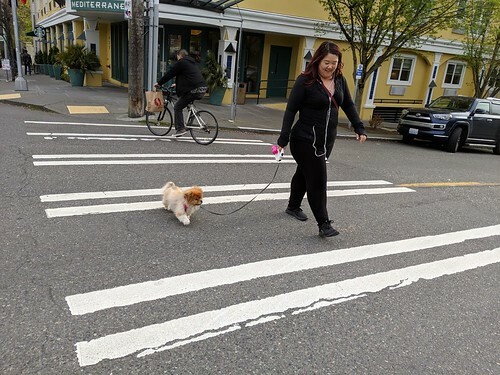 We’re in construction to repave 25th Ave NE to improve safety, accessibility, and comfort for all users. 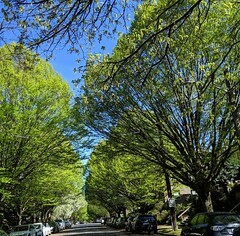 Starting at 8PM tonight, April 23, we will begin paving the west side of 25th Ave NE. 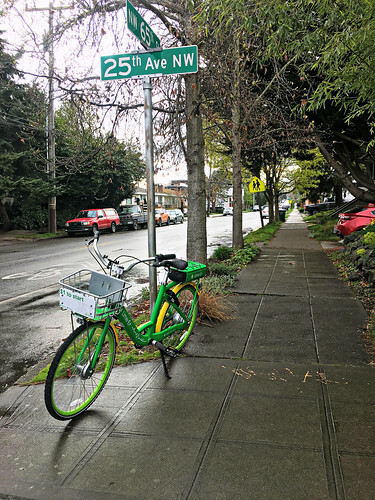 On the first night of paving, crews plan to pave the west side of 25th Ave NE from NE Montlake Blvd to NE 55th St. On the second night, crews plan to pave from NE 55th St to NE 65th St.
Crews will pave the west side of 25th Ave NE from Montlake Blvd NE to NE 65th St tonight, April 23 and tomorrow night, April 24 (weather permitting). On the first night of paving, crews plan to pave the west side of 25th Ave NE from NE Montlake Blvd to NE 55th St. On the second night, crews plan to pave from NE 55th St to NE 65th St. Crews plan to work from 8 PM each night to 7 AM the following morning. 25th Ave NE will be closed to northbound traffic during this work. 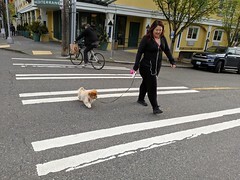 People driving north with will be detoured from Montlake Blvd NE to 35th Ave NE. One lane of southbound traffic will be maintained during paving. During the day (before 8 PM), a single lane of traffic will be maintained in each direction. Please follow marked pedestrian detours. From 8 PM to 7 AM each night of paving, residents and businesses will not have access to their driveways. Driveway access is restricted to allow crews space to pave and to let the pavement cure following paving. Please use driveways and side streets west of 25th Ave NE and walk to homes and businesses if you need to leave before 7 AM on the mornings of April 23 and April 24. Crews will open driveways as soon as the pavement has finished curing. Expect loud noise and tar-like odors as the roadway is being paved. For changes in Metro routes during paving, please refer to King County Metro Alerts. In early May, we will be adding new safety restrictions for large vehicles travelling through Pioneer Square. 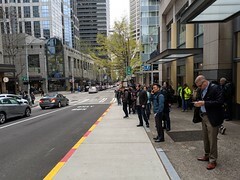 Vehicles weighing more than 10,000 pounds will no longer be allowed to park or drive in the lane closest to the sidewalks on First Ave in Pioneer Square due to concerns about the underground road support structures. 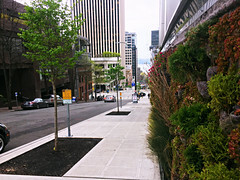 As you probably know if you’ve taken a tour underneath Seattle’s historical Pioneer Square district, many of the sidewalks in this part of town are built on top of empty spaces called areaways dating back to when the streets were rebuilt after the Great Seattle Fire of 1889 burned down 25 city blocks. Residents decided to rebuild in the same location. 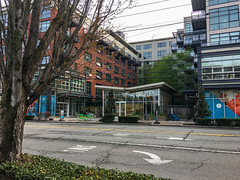 New buildings were built over those that had been damaged by the fire, one to two stories above the original elevation. 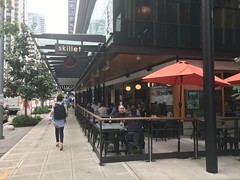 As a result, many of the sidewalks in the area, especially along First Avenue, are built on top of empty spaces that date back to when the street was rebuilt. Over time, many of these areaways were turned into basements and cellars for buildings in Pioneer Square while others are still empty space. Today, the weight of Pioneer Square roads and sidewalks are still being held up by support walls right under the outer edge of the sidewalk. Many of these street support walls were built from brick, rubble, and mortar over 100 years ago. These underground walls were not designed to support the weight of today’s large trucks and buses or to meet modern earthquake safety standards. We have been monitoring the condition of underground areaways and street support walls for many years. Recently, when the SR 99 Viaduct closed and several bus routes moved onto First Ave, we conducted a new comprehensive analysis in order to identify safe locations for new bus stops. This led us to find new structural vulnerabilities which we had not identified before. 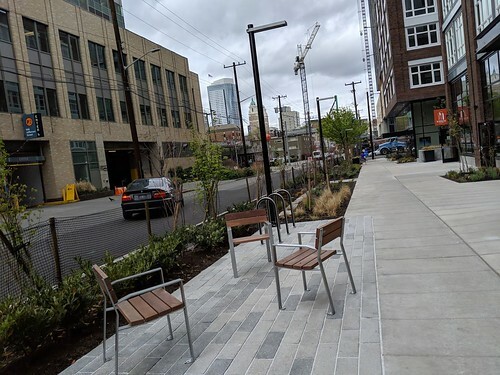 We found that the street support walls were all safe to support the weight of normal cars, but in some cases could not continue to hold the weight of large trucks and buses parking and driving next to the curb. In order to ensure the safety and integrity of the road, we need to add new safety restrictions for large vehicles travelling through Pioneer Square. 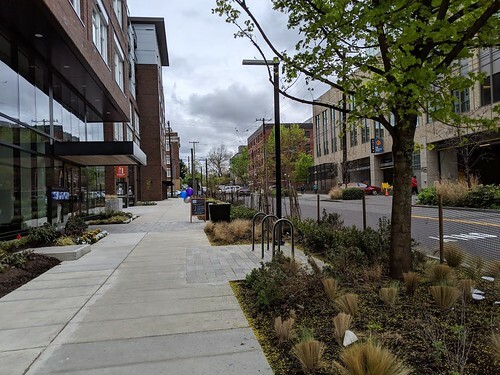 Vehicles weighing more than 10,000 pounds will no longer be allowed to park or drive in the lane closest to the sidewalks on First Ave between Marion St and Railroad Way S.
This means that commercial load zones will be relocated and large trucks will need to park on another street. It also means large vehicles will not be able use the right turn lane at some intersections. There is no change to for the rules about normal sized cars. 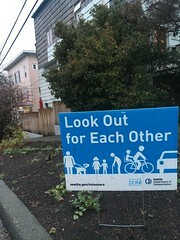 The new rules will take effect as soon as we install new weight-limit signs. This could be as soon as Monday, May 6. Don’t worry! You can (and should) still visit the neighborhood. 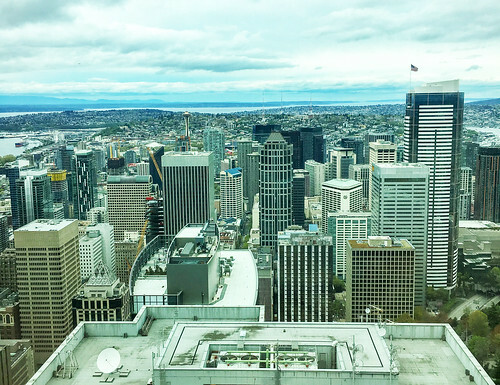 It’s one of the oldest and most vibrant neighborhoods in Seattle. 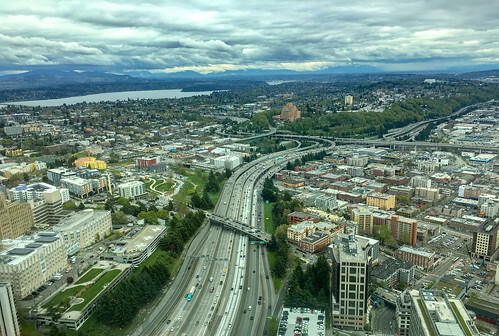 Our engineers routinely monitor underground areaways and street support walls and are confident that the streets and sidewalks are safe to use, as long as large vehicles over 10,000 pounds remain in the inside lanes. 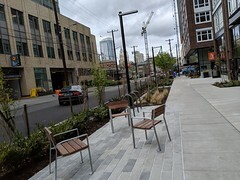 We’re also completely confident that the Pioneer Square sidewalks are safe for everyday activities (such as walking, sidewalk dining, and moving furniture). We’ve also checked to make sure that the tours underneath the sidewalks are completely safe too. The first step is to conduct a thorough inspection of every underground areaway and road support wall in Pioneer Square. 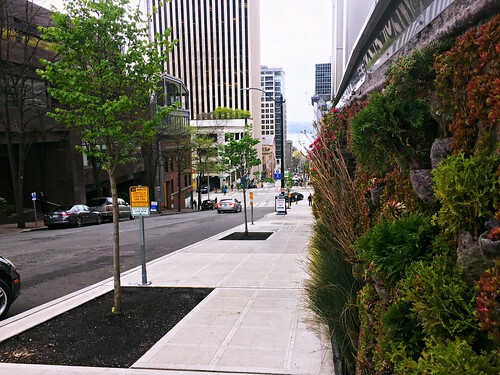 We’ll be working with local businesses over the coming months to assess the condition of underground support walls throughout Pioneer Square and to install monitoring equipment. We have also identified safe areas to relocate commercial load zones which are not near these kinds of underground areaways and support walls. This will likely result in additional weight restrictions and changes to commercial vehicle load zone locations throughout Pioneer Square this summer. We’re committed to doing everything possible to keep you informed. 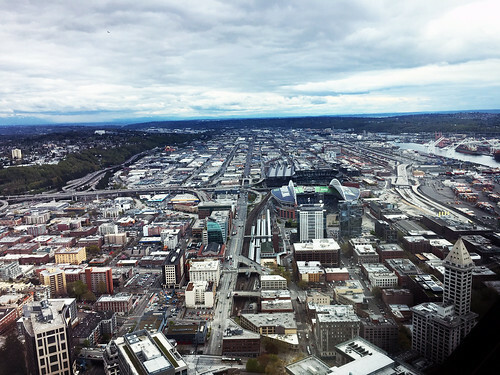 In partnership with the Alliance for Pioneer Square and other City departments like the Office of Economic Development, we will work closely with the neighborhood to provide ongoing information about the safety assessment and repair work. We will be talking to the community about these potential locations and will respond to feedback with clear, concise and thoughtful answers on whether their suggestions are viable. Our goal is to provide adjacent businesses and residents with accurate and timely information as we move forward to implement safety.